In 1970, I was finishing my first year at Antioch College in Columbia, Maryland. I had been playing music with a man I met there and we’d performed at some local coffee houses. That summer he went to England and began playing at “folk clubs.” He called and asked me to join him so we could play music together. I decided to go for it. So I flew to London, took a train to Cornwall, and then hopped a ferry to the Scilly Isles, where he was staying. We performed a few times, but soon he left the island with his new British girlfriend. I got a job at a local restaurant and decided to stay for the rest of the summer. It was a beautiful, scenic place, but somehow I felt discontented and depressed. My mind was always somewhere else. I felt detached and alienated from my surroundings. While in Europe, an individual told me about a technique he’d developed called “sleep learning,” in which you listen to a recording of positive suggestions while sleeping to help you fulfill your true creative potential. I decided to try it, and he set it up for me and my roommate. I felt a little groggy the next morning, but soon afterward I started to experience some subtle changes in my consciousness. I began making an effort to keep my mind in the present moment instead of thinking about the past or the future. When those thoughts came to me, I would consciously push them out and keep my focus in the present moment. I began to feel lighter and happier than I had ever felt in my life. Soon it was time to return to the United States. Out of the blue, the thought of yoga came to me as I was flying back. I had done some Hatha Yoga in high school and liked it. When I got back to Maryland, someone told me about a yoga ashram that had just opened. I felt drawn to it, and there I experienced my first Kundalini Yoga class. I was hooked. 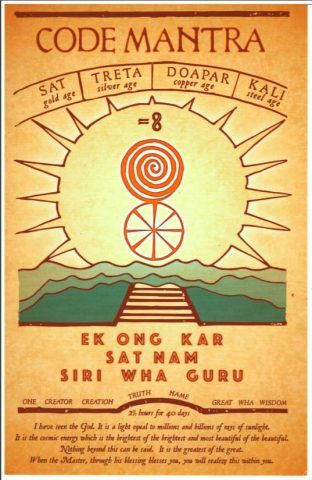 I was given a handout with the mantra Ek Ong Kar Sat Nam Siri Wha Guru, and the words: “If you chant this mantra for 40 days, you will be liberated.” I remember feeling that somehow that mantra was familiar and that it deeply resonated with my being. I soon moved into the ashram, and a couple of months later I met Yogi Bhajan when he visited Washington D.C. At one of his classes, he had us lie on the floor and he walked on our backs. I remember feeling incredibly light. While living in the ashram I would still play my guitar and sing the folk-type songs that were popular then. My teacher told me my songs were pretty but he thought they sounded sad. 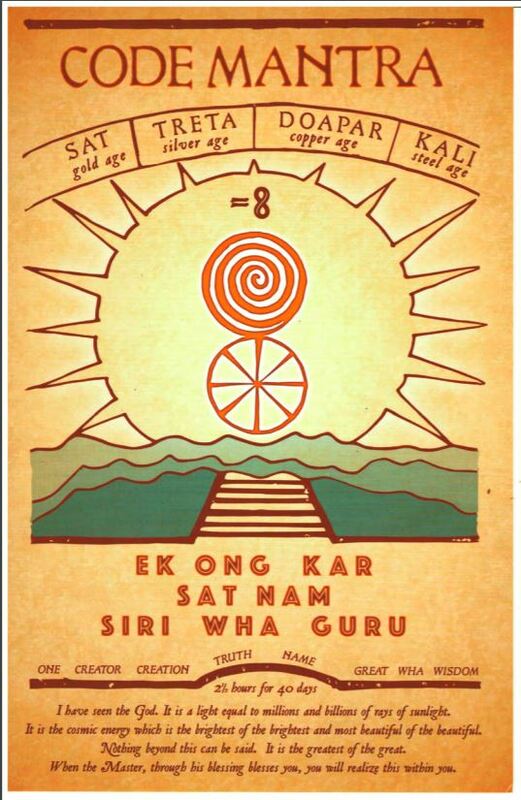 Gradually, I began putting mantras to music, starting with Ek Ong Kar Sat Nam Siri Wha Guru. (It was pronounced Wha at first and later changed to Wahe.) I sang the mantra at wakeup time at my first Summer Solstice in Paonia, Colorado, joining others who were playing and singing other mantras. It was spontaneous and blissful! I eventually landed at the ashram in Tucson, Arizona, where I was first exposed to the Siri Guru Granth Sahib. I was a bit confused by it in the beginning because it seemed so religious, and I had never intended to get involved in a traditional religion. A few months later I moved to the Phoenix ashram, where I deepened my experience with Kundalini Yoga, mantras, and meditation. When we moved to a larger ashram, we installed the Siri Guru Granth Sahib there. 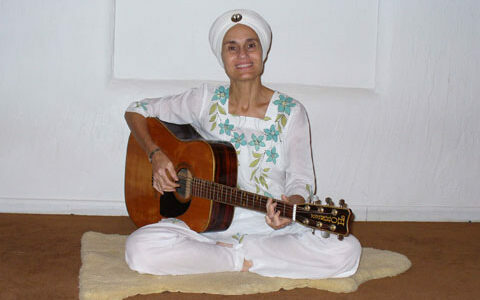 I would sit in front of the Guru with my guitar and sing the shabds in English. Although it was probably not considered “proper” Gurdwara protocol, it was very inspiring and fulfilling to me. I would also sing the English translation of Japji Sahib from the Peace Lagoon, just making up the melody as I went along, and eventually recording it. I found my connection to the Guru through the Naad, the sacred sound current, even before I learned Gurmukhi. I believe the Naad is carried in the translation as well. Over the years I have been blessed to sing and record mantras and shabds as well as the Siri Singh Sahib’s poetry, which I believe also carries the Naad. There have been times when I have experienced such energy from singing and chanting that I have felt my whole body tingling and energy moving up my spine. Such is the power of the Shabd Guru! 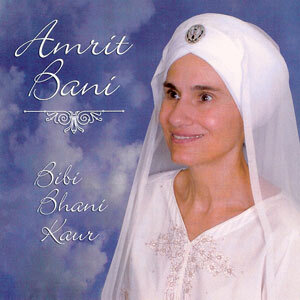 SS Bibi Bhani Kaur Khalsa became a Sikh in 1971 and has lived in Phoenix, Arizona since 1972. The Siri Singh Sahib ordained her as a Minister of Sikh Dharma in 1973. He recognized her as one of the first Americans to sing Gurbani in English. Her recordings include Mera Man Loche, Light of the Soul, and God and Me Are One. 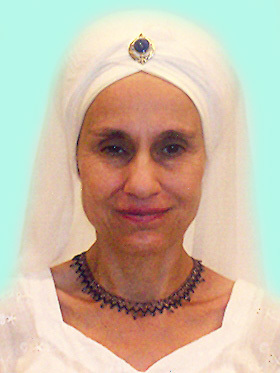 She has taught Kundalini Yoga to adults, children, pregnant women, and mothers with infants and toddlers. Bibi Bhani Kaur currently provides speech therapy for special needs children and teaches yoga at the Khalsa Montessori School.